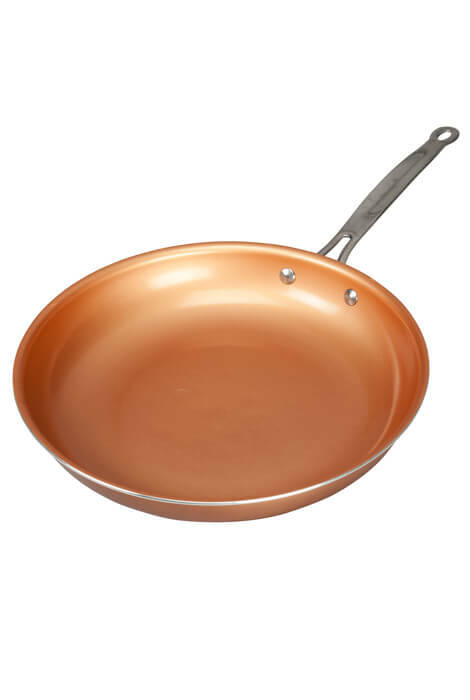 Unique ceramic pan offers non-stick ease, allowing food to slide right out—no oil or butter needed. 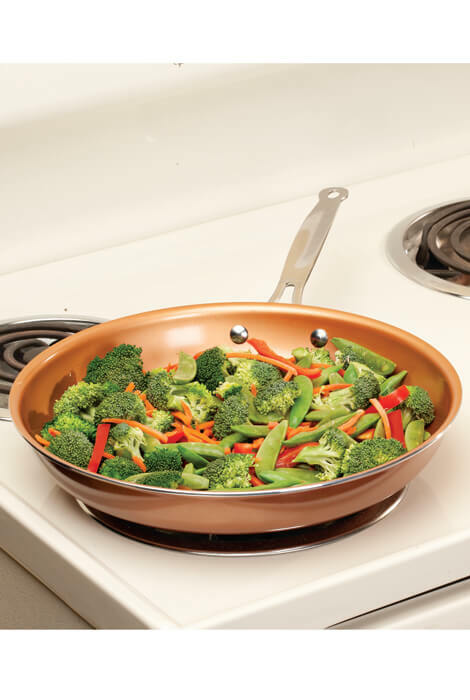 Versatile metal and ceramic pan is oven-safe up to 500°, allowing for quick stovetop-to-oven cooking. Durable, lightweight aluminum construction delivers rapid, even heating. Scratch-resistant surface can be used with metal utensils. Suitable for all cooktops including induction. 12” dia. PFOA- and PTFE-free. Dishwasher safe. Love the way it cooks.